The UK and Europe's Control-line Carrier-Deck Site! Randy Snow – Master Model Builder! UK Hi-tech Portable Practice Deck? 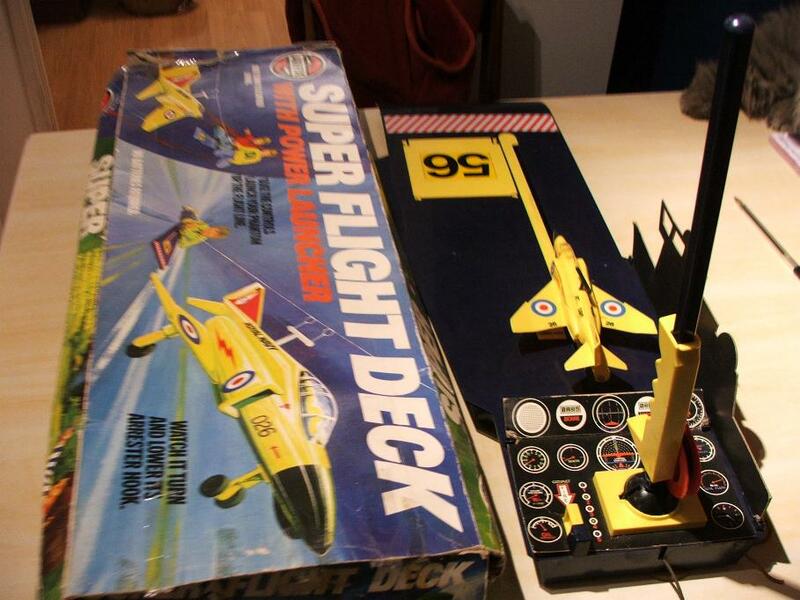 AIRFIX SUPER FLIGHT DECK with VIDEO! 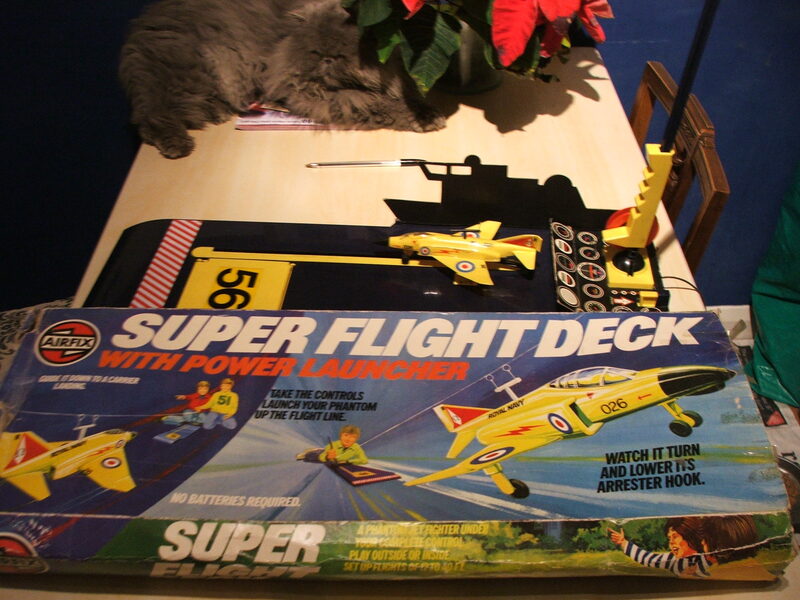 The game came from eBay for £7.99 plus postage – some pix are shown below. It’s a tremendous feat of design and ingenuity, with all the best 1975 boy-toy qualities: lots of fiddling around, many small pieces to be lost or broken, elastic bands, dodgy cardboard cut outs and best of all a bright yellow Phantom, certain to get splashed by the first MiG that found it by Mark One eyeball…it does have an offset rudder as per c/l carrier aircraft, and it’s controlled by a handle so I think it qualifies for this site. So there! So I’ll leave it to you now to WATCH THE VIDEO! It’s not easy filming, commentating, and flying the plane at the same time, as well as sniffling piteously with a rotten bout of Man-Flu, but we did catch the wire!